Emergencies arise at a moment’s notice, and law enforcement officers stand ready to respond. Police and security officers are an essential part of society, and those charged to protect may serve in the following roles: peace officer, state and federal law enforcement officer, probation officer, parole officer, correctional officer and private security officer. 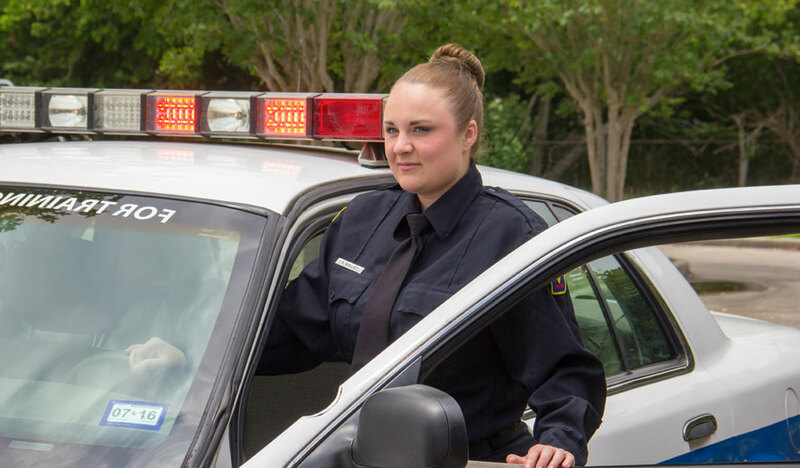 The Criminal Justice Program prepares students who are seeking careers as police officers, sheriff’s deputies, state or federal law enforcement officers, prosecutors or probation and parole officers. Classes transfer to a four-year university. Please speak with the dual credit advisor or college connection advisor at your high school. This course provides a historical and philosophical overview of the American criminal justice system, including the nature, extent and impact of crime; criminal law; and justice agencies and processes. This course is the study of criminal law including application of definitions, statutory elements, defenses and penalties using Texas statutes, the Model Penal Code and case law. The course also analyzes the philosophical and historical development of criminal law and criminal culpability. Complete Associate of Arts – Criminal Justice; these courses are transferrable to a four-year university.